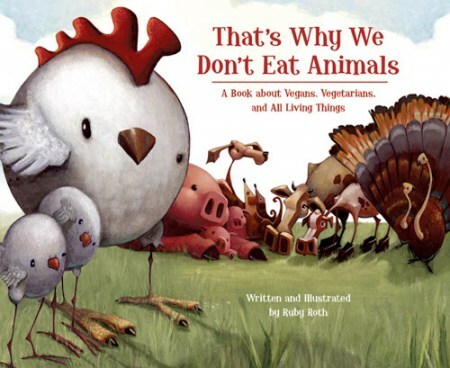 Awesome article by Ruby Roth, author of "Vegan is Love", her latest illustrated book for children. Ruby had her book reviewed by Nicole German, a registered dietitian on Diet Blog, whose occupation and critique perfectly exemplify the real reasons why "experts" often dis' veganism: fear, ignorance, and industry collusion. Every time I read statements like this by people that I think 'should know better', I just shake my head wishing people would make the connection between what they eat and health. For our kid's sake, we have to take a step forward and start educating them about the consequences of our current food system.